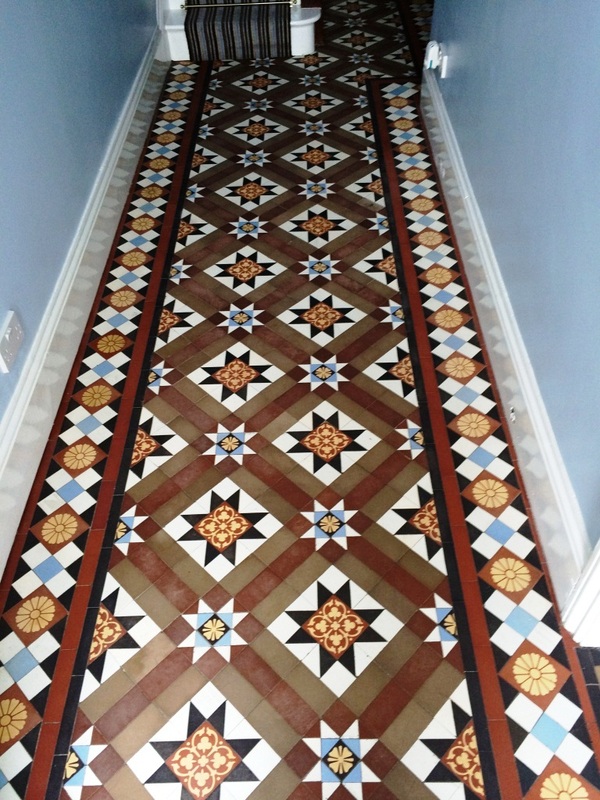 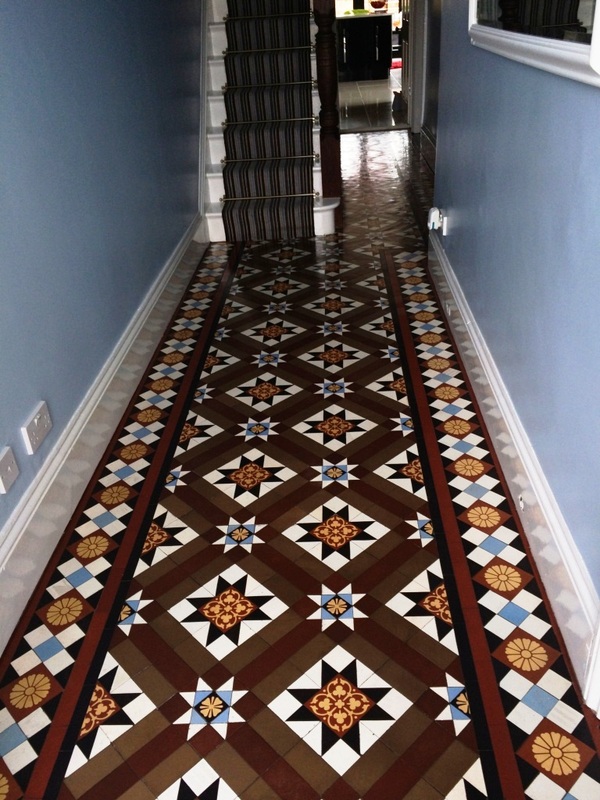 This customer had just brought a house in Chippenham which they were renovating and it had come to their attention that Victorian tiles had been laid under the hallway carpet. 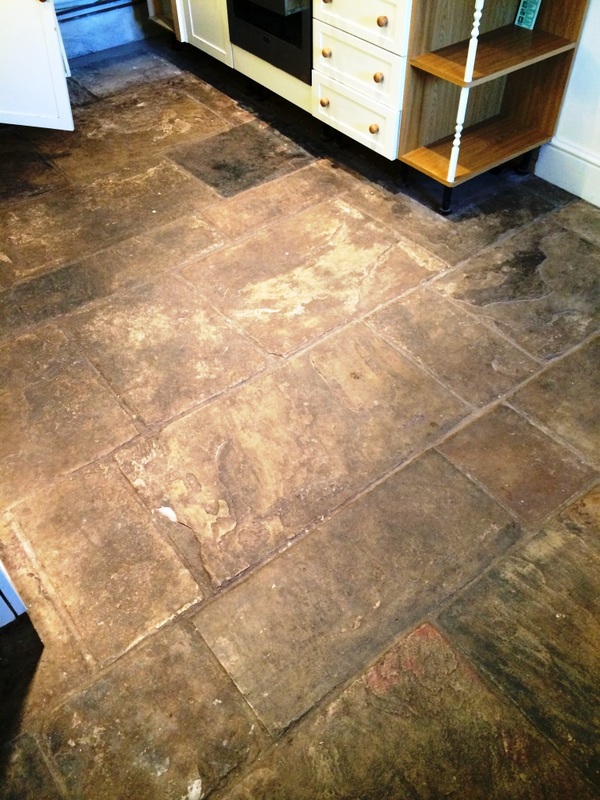 Keen to restore them the customer called us in to see if we could enhance the appearance of their floor. 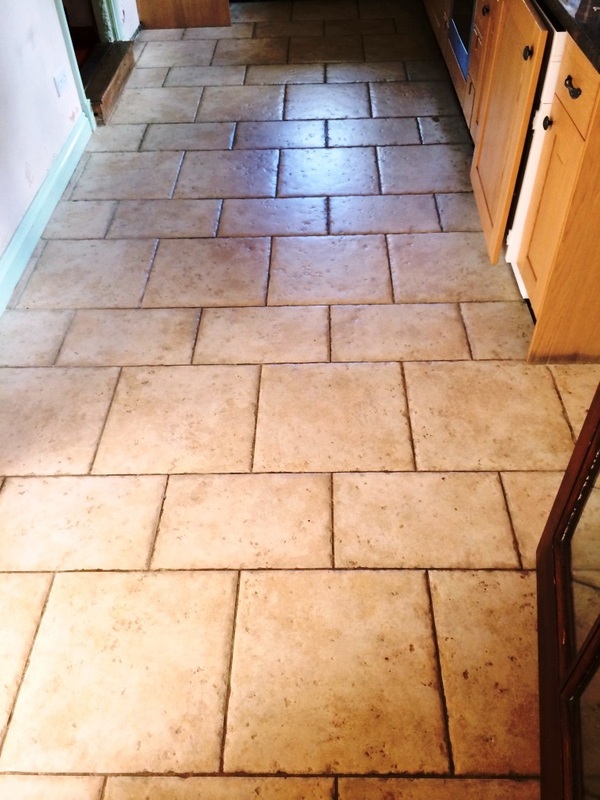 We started by covering the floor with a mild solution of Tile Doctor Pro-Clean mixed 50/50 with NanoTech Ultra Clean, this combination creates a powerful cleaning solution for tackling ingrained dirt and staining. 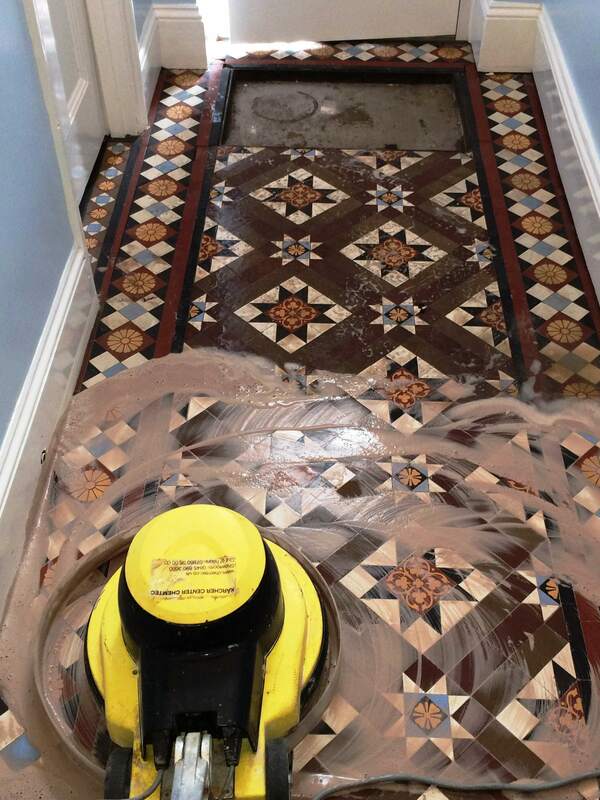 The solution was left to dwell on the tile for twenty minutes and then scrubbed into the tile using a black pad attached to a rotary machine. 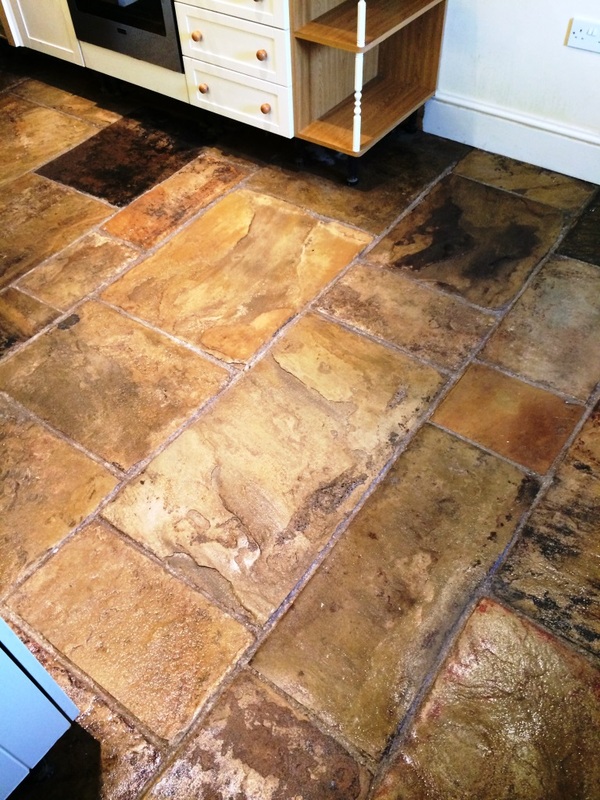 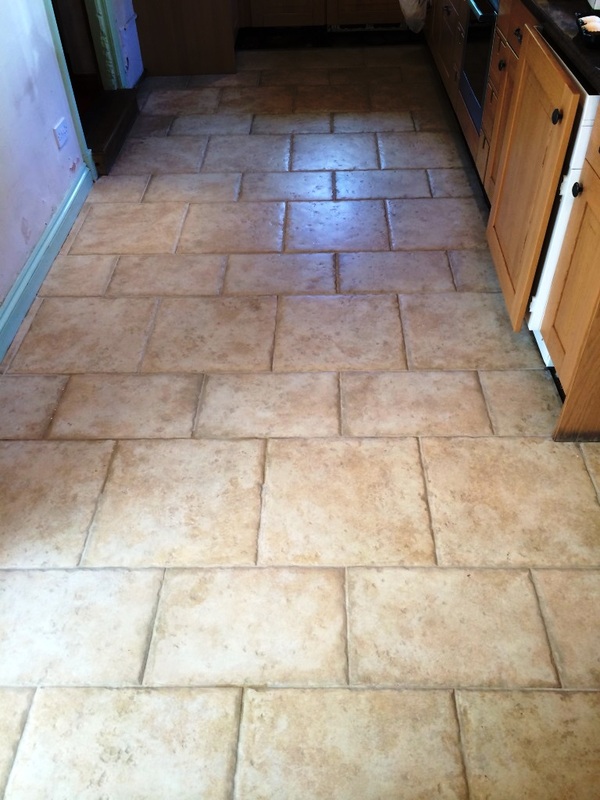 This process was quite effective and the cleaning solution turned colour with the dirt as it came off the tile. 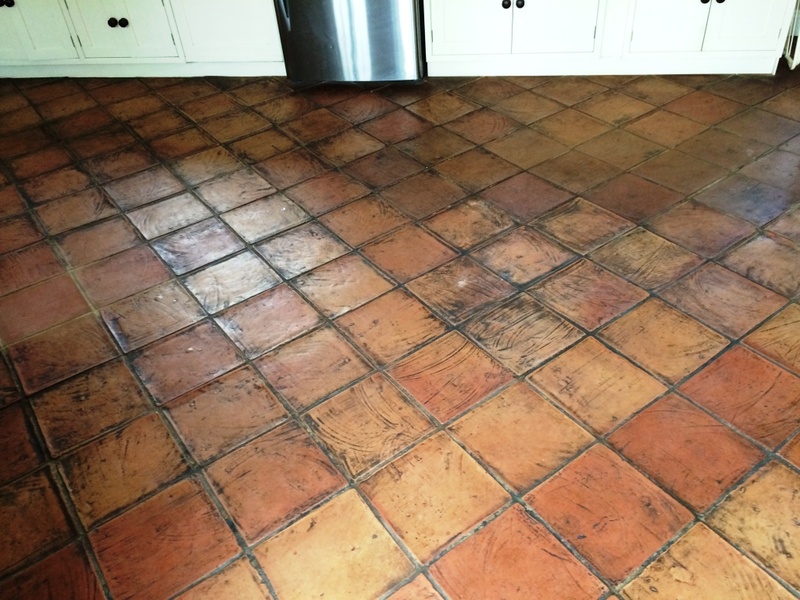 Once we were happy we had removed all the dirt the now dirty cleaning solution was removed using a wet vacuum and the floor rinsed several times with cold water to remove any trace of cleaning product. 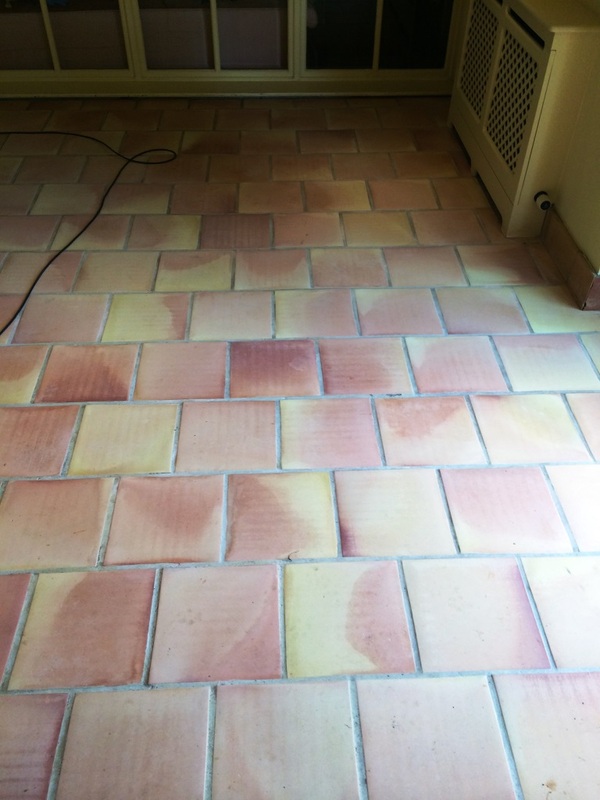 With the floor now clean it became evident that there were paint spots along the edges which we removed by applying Tile Doctor Remove & Go this time leaving it to dwell for five to ten minutes before agitating with a stiff deck brush. 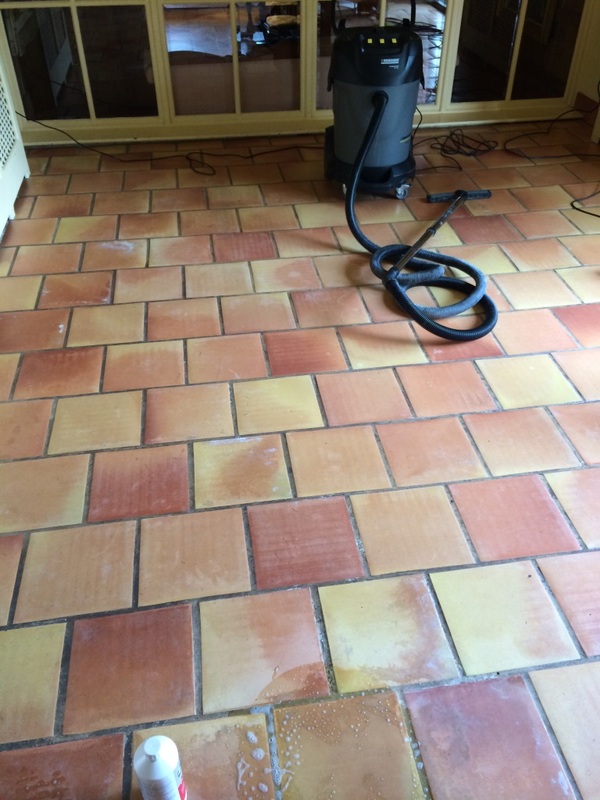 Once again we used a wet vacuum to remove any product and rinsed the floor using cold water. 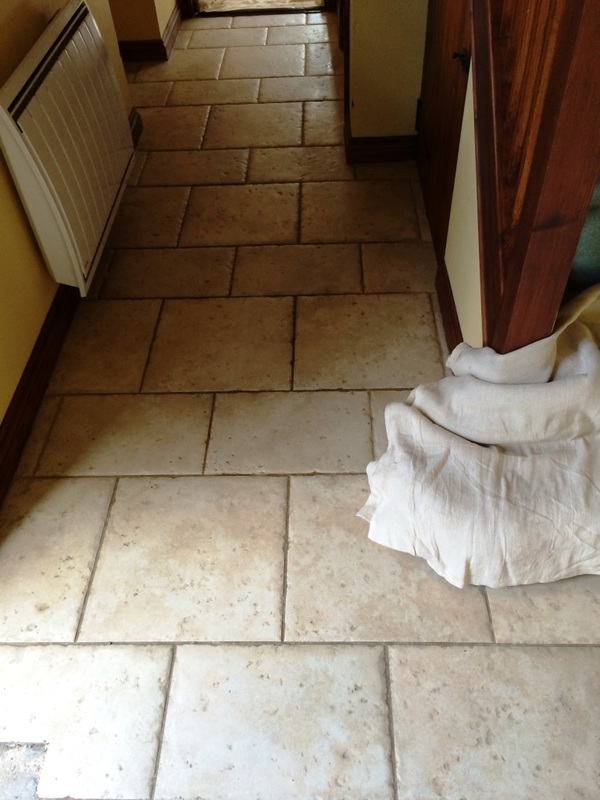 We left the floor to dry overnight and returned the next day to seal the tiles. 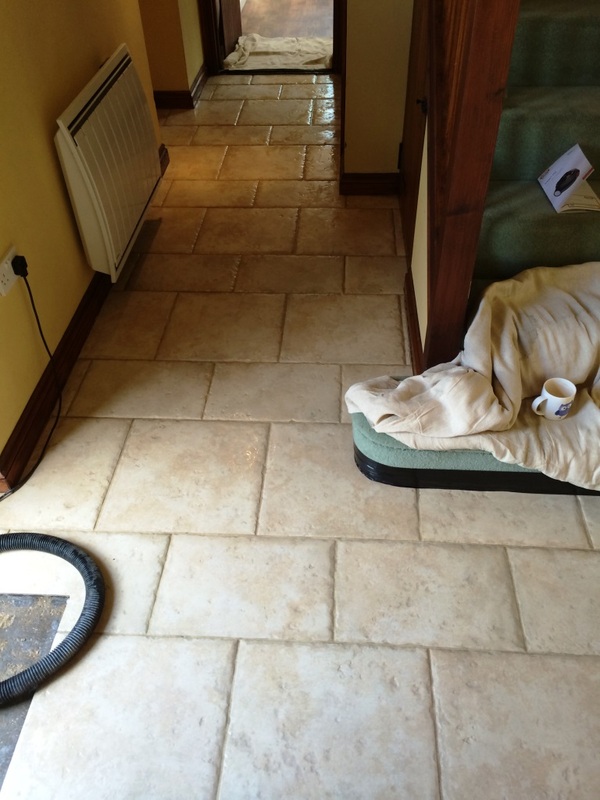 Upon our return we first used a damp meter to confirm that the floor was dry enough to seal which it was. 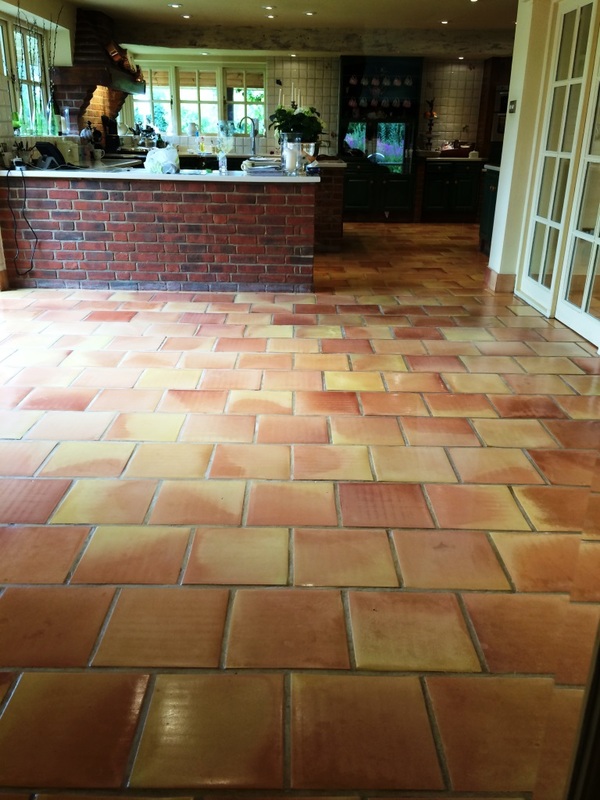 We then sealed the floor with five coats of Tile Doctor Seal & Go which will protect the floor from staining and make it easy to clean, Seal and Go also adds a nice shine to the tile enhancing the colours and general appearance of the tiles. 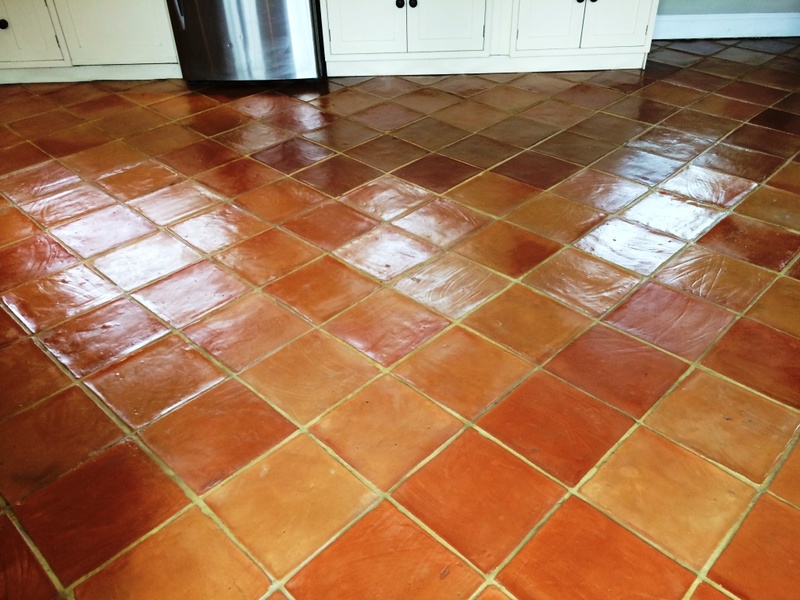 We definitely achieved the customer’s goal to enhance the look of the floor and before leaving we gave them some cleaning tips to prolong the life of the sealer by recommending the use of a Tile Doctor Neutral Tile Cleaner which won’t eat into the sealer like the mildly acidic tile cleaning products that you buy in the supermarket.